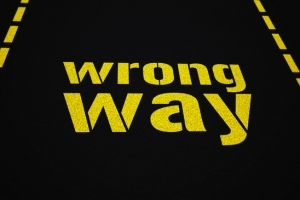 Car Accident Lawyer Investigates Wrong-Way Wrecks in Miami: How Common Are They? In the last days of December, five people were killed in a wrong-way wreck on I-95, drawing attention to the danger of wrong-way collisions on Miami roads. NBC Miami notes that, according to one FDOT study, between the years of 2009 and 2013, 280 wrong-way crashes have killed 75 people on Florida highways. Yet, why do wrong-way crashes take place and what can drivers do to prevent them? It is unclear why the woman responsible for the accident in late December was driving on the wrong way in the northbound express lanes of I-95. The National Transportation Safety Board recently released a special investigative report on wrong-way driving. According to the report, alcohol and drug use are main contributing factors to wrong-way driving accidents. According to the report, more than half, and as many as one-third of wrong-way accidents involved drivers impaired by drugs or alcohol. Older drivers were also found to be more likely to be involved in wrong-way driving collisions. Drivers over 70 years of age were more likely to be in these accidents than right-way fatal driving collisions. Yet, even when alcohol abuse, drug use, or age aren’t factors, wrong-way driving accidents can also take place due to design factors of highway entrance and exit ramps. Drivers enter exit ramps, unaware that they are going the wrong way. These accidents occur disproportionately at night. City and state officials can prevent these accidents by improving signage and road markers to alert drivers when they’re going the wrong way. On and off ramps to highways are not always intuitive and they often involve large loops that direct the flow of traffic in counter-intuitive motions. For instance, in some locations, to travel north, drivers have to turn south, and vice-versa. For older drivers or impaired drivers, it is all too easy to make a fatal mistake. Wrong-way collisions also occur in lanes closer to the median. These collisions occur when drivers decide to perform U-turns on highways (these are almost always illegal maneuvers). While drivers have a responsibility to drive sober and use proper precaution, Florida highway departments also have a responsibility to properly mark highway entrance ramps. Wrong way signage and arrows on the pavement can alert drivers if they have made a deadly mistake. Older drivers should also be more aware of their limitations and consider restricting their driving to daytime hours. More wrong-way collisions occur at night due to reduced visibility. At the end of the day, safety is a unified effort between the public, city, and state agencies, and other officials. Older drivers should take extra precautions and understand their routes before hitting the road. No one should get behind the wheel after using drugs or alcohol. If you’ve been involved in a wrong-way collision, or car accident, an auto accident lawyer in Miami, Florida may be able to help you seek justice for your losses and injuries. Wrong way accidents are devastating and deadly for victims and their loved ones. Contact the Wolfson Law Firm, L.L.P. today to learn more about your rights and your options.